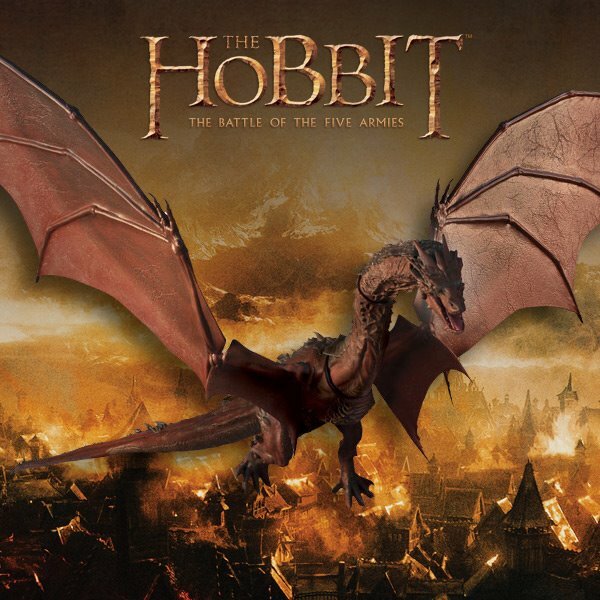 The Hobbit: The Battle Of The Five Armies - Smaug Figure. Check out this exclusive, limited-edition Smaug figure with a 22-inch wingspan, available only at HobbitShop.com!. Wallpaper and background images in the द हॉबिट club tagged: photo the hobbit the battle of the five armies 2014 smaug figure. This द हॉबिट photo contains मोबाइल फोनों के लिए, हास्य पुस्तक, मंगा, कार्टून, एनीमे, कॉमिक बुक, and manga. There might also be हस्ताक्षर, पोस्टर, पाठ, चॉकबोर्ड, साइन, साइन इन करें, गुलदस्ता, कंचुकी, कहावत, फूलों का गुच्छ, चोली, पॉसी, नाकगेय, ब्रोच, and nosegay.